Power up to nine 24-volt AC surveillance cameras from a single location. 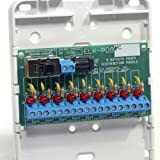 The AC Camera Power Distribution Kit conveniently distributes a single AC input into nine individual outputs for centrally powering video cameras. Each output is protected with a 250mA auto-resetting PTC to protect any shorted output from disabling the other power outputs. The AC Camera Power Distribution module has visual LED power indicators on each output and a Master Power On/Off Switch. 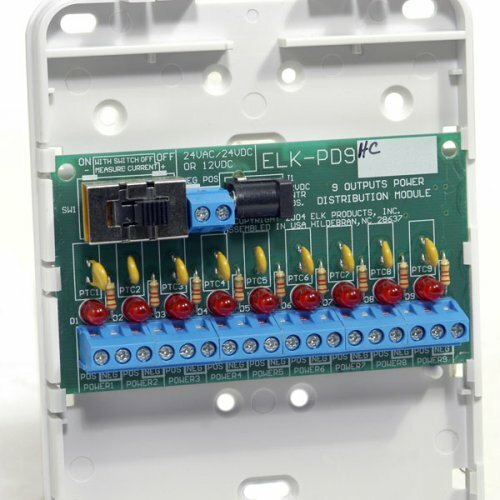 The included 24-volt power supply connects to the input terminal block on the module. Two or more outputs can be paralleled for additional current. A similar power distribution kit is available for nine 12-volt DC cameras. The High Current Power Distribution Kit distributes a single AC or DC input into nine individual 12V DC outputs and can support a maximum current draw of up to 400mA from each output.